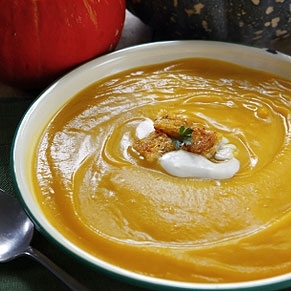 Month 2 of a love affair with pumpkins – Let’s eat! We have now entered the second half of pumpkin madness in the USA! 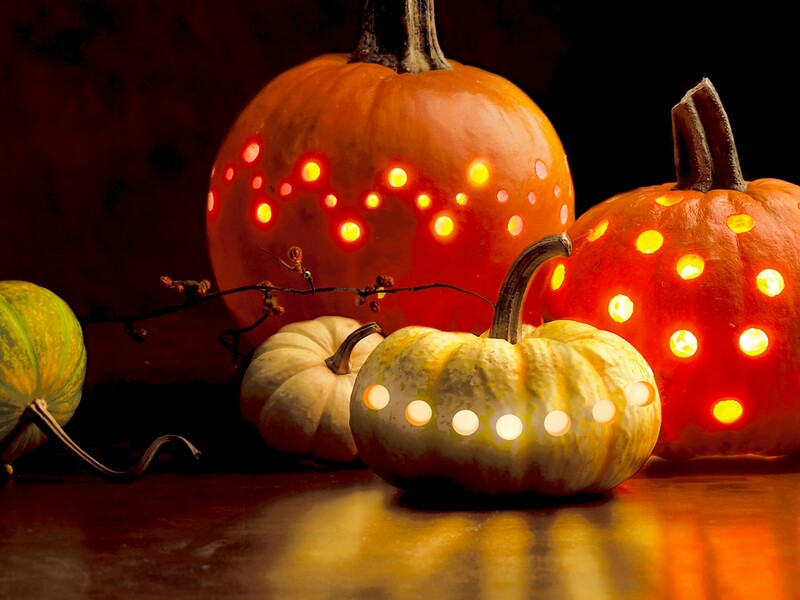 The illuminated version of the pumpkin – Jack o Lanterns, which I love , are gone and now we can get down to the serious business of eating pumpkins! I think I love this tradition even more. 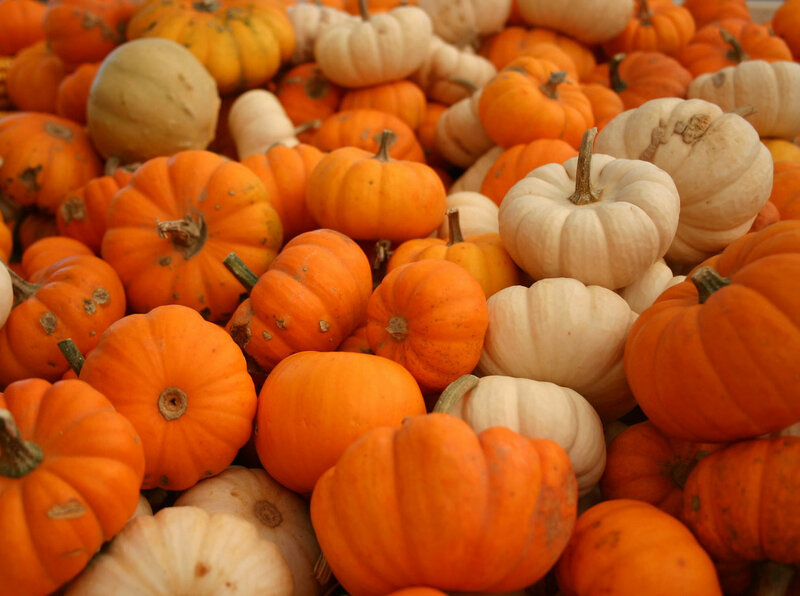 We have carved out pumpkins and decorated with them, so what does November offer? We eat them! Today and maybe next week I am going to share delicious ways to eat pumpkins, aside from the iconic pumpkin pie. Directions 1.Heat oil in large nonstick saucepan over low heat. Add onion and garlic, and cook, stirring frequently, until onion is tender, about 5 minutes. 2.Add sweet potato and 1½ cups (375 mL) of the water to pan. Bring to a boil. Reduce to a simmer, cover, and cook until sweet potato is tender, about 10 minutes. 3.Stir in pumpkin purée, brown sugar, salt, ground pepper, sage, and remaining 1 cup (250 mL) water, and bring to a boil. 4.Reduce to a simmer, cover, and cook until flavours have blended, about 5 minutes. Working in batches if necessary, transfer to food processor and purée until smooth. Return to saucepan and stir in 3/4 cup (175 mL) half-and-half. Cook until heated through, about 2 minutes. 5.Spoon into soup bowls. With a spoon, drizzle remaining half-and-half over soup. Use the tip of a knife to create a pattern. 6.Sprinkle Parmesan and cracked pepper on top. Serve with Italian breadsticks and follow with roast poultry and steamed spinach. On a personal note, I ate a version of this in New Orleans at Emril’s and he added bourbon. Bam! Let’s hear it for the pumpkin! Next week I’ll share a fabulous “pumpkin pie” cake recipe. You’ll thank me. 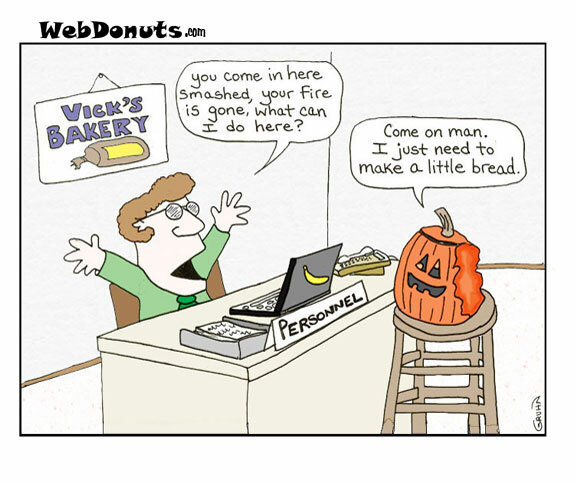 If you have an unusal, tasty pumpkin recipe please send it to me! 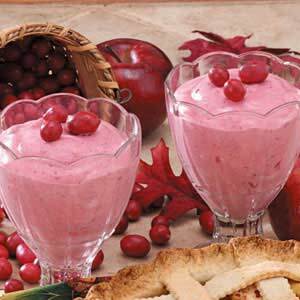 CRANBERRY PARFAIT – Thanksgiving Perfect! Parfait (pronounced [paʁfɛ]) is a French word literally meaning “perfect” that began referring to a kind of frozen dessert in 1894. 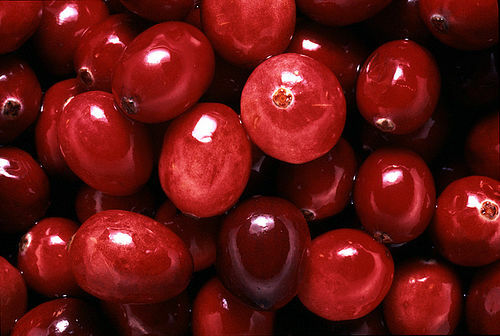 Cranberry (pronounced tart red yummy thingies) is an American word which has dominated the fruit popularity contest for the last decade. Last year I talked about a rather unusual item that has joined our Thanksgiving table of bounty. Pink is the heavenly color of this parfait and even though pink is not considered “an autumn hue”, there it is on my table. “Perfect”. And there it has been for the last 37 years. This came to be one Thanksgiving when I was 8 months pregnant and unable to travel more than 3 blocks. A person who tuned out to be a life long friend, as well as godmother to both my children, invited my husband and I to join her family for dinner. 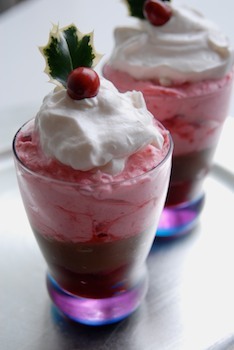 On her table were gorgeous goblets filled with cranberry parfait! Her French mother met and married her dad who was an American serviceman. As time passed, a French Christmas treat soon became a Thanksgiving tradition in Iowa. She passed it to her daughter who passed it to me. My family has loved it ever since. Grind 1 package fresh cranberries and 4 cored apples. Add 1 can drained, crushed pineapple. Add sugar to taste – it will depend on the tartness of the apples. HINT: Remember this will get sweeter when the whipped cream is added. Whip heavy cream and add a bit of vanilla and a bit of powdered sugar. 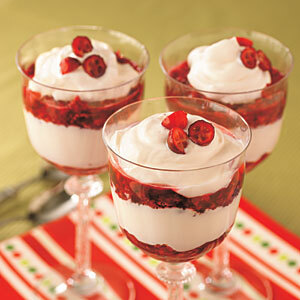 Mix about half cranberry mixture and half whipped cream in a separate bowl. Then spoon into each goblet. You can also invent different ways to layer the mixture! Serve immediately or refrigerate. The fruit mixture can be made days ahead and refrigerated.Mix with the whipped cream at the last moment. My family likes this a bit on the tart side, so play with the flavors. It is a beautiful light pink delight! Taking the que from my dear friend I always place these goblets on the table as part of the setting, even though it is very much a parfait dessert! 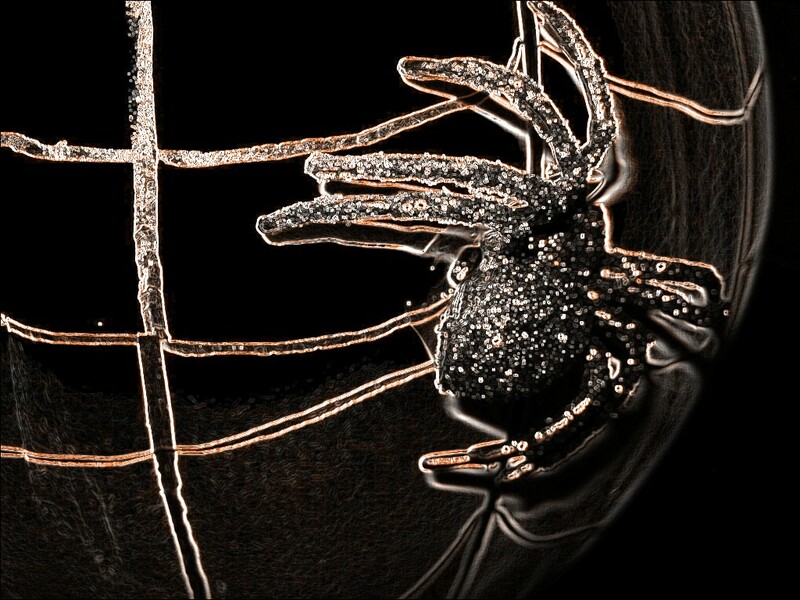 Glitter Spiders in the Kitchen! 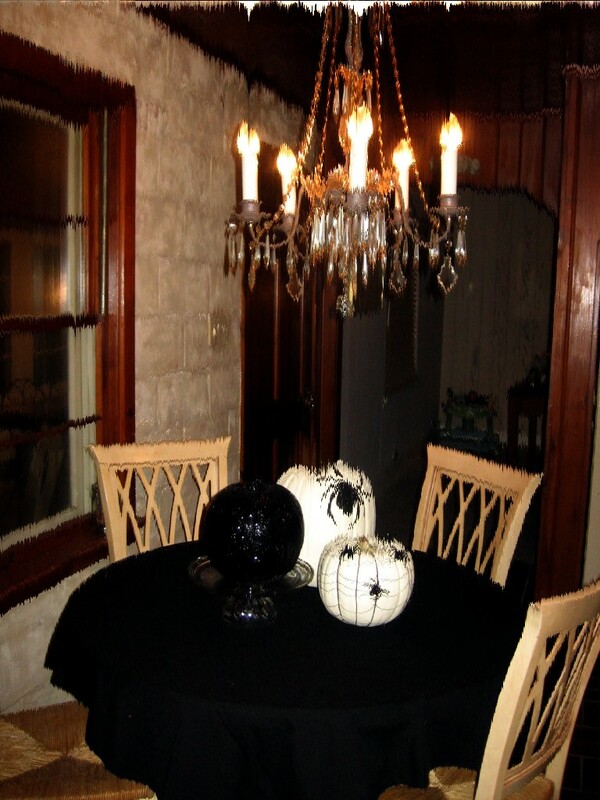 One more Halloween blog to inspire some home decorating. 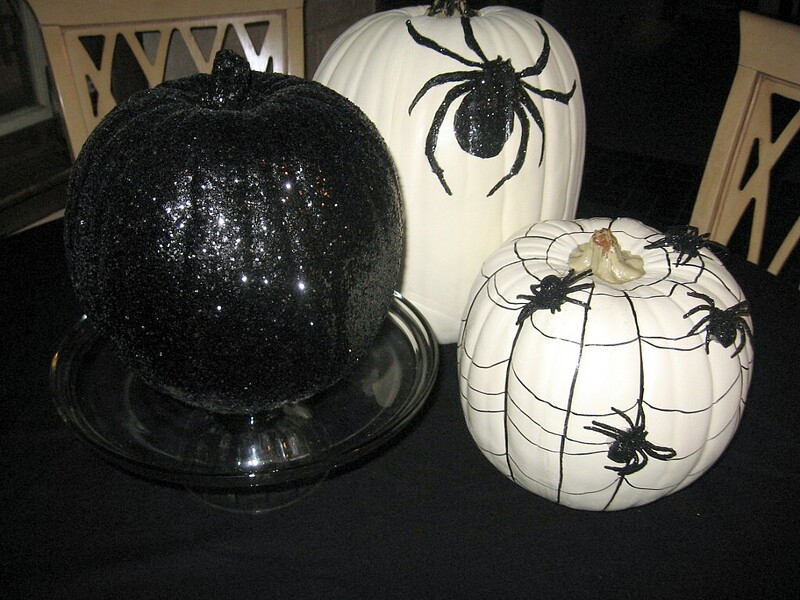 . . My kitchen table is crawling with glittering spiders! I don’t really know what happened to me this year but suddenly I am nuts over spiders! Like many designers I have always been nuts over glitter so I guess it just makes sense to sparkle up some creepy-crawlers fo the holiday. 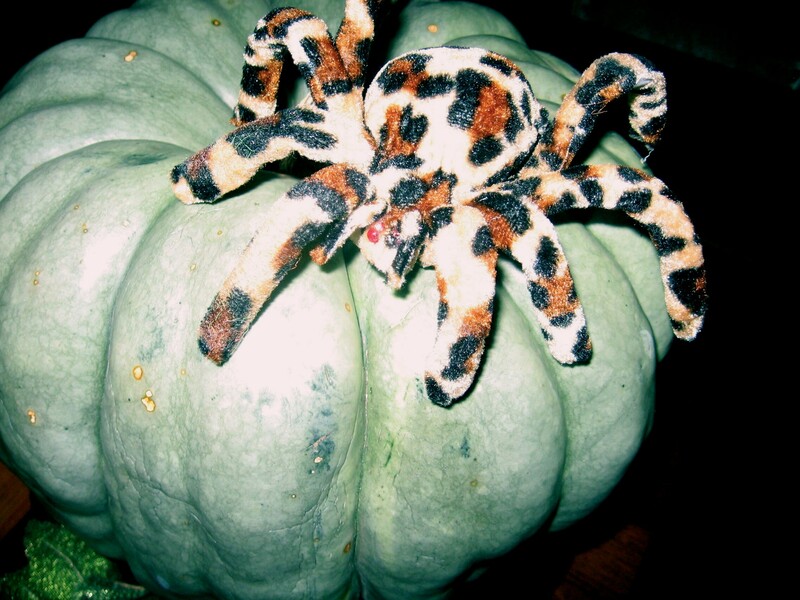 I even found a fuzzy leopard print spider at Pier One! for the discriminating Halloween glamour puss! The ideas for these pumpkins are a personalized version of something presented on the Country Living website called the “Great Pumpkin Challenge”. Here is Scotty’s work of art! A little bit like his “nana” in that his use of glitter paint was somewhat extreme. It took 2 days to dry! after Scotty completed his pumpkin and took it home I was left with some plain white pumpkins. 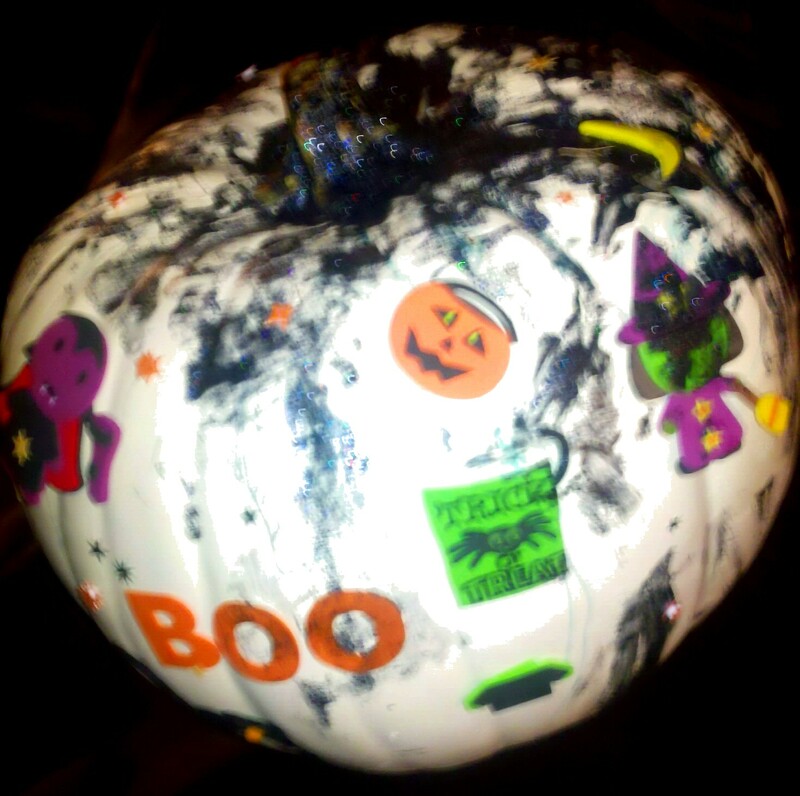 I had an uncontrollable urge to rush back over to Michael’s to buy the all black glitter pumpkin! 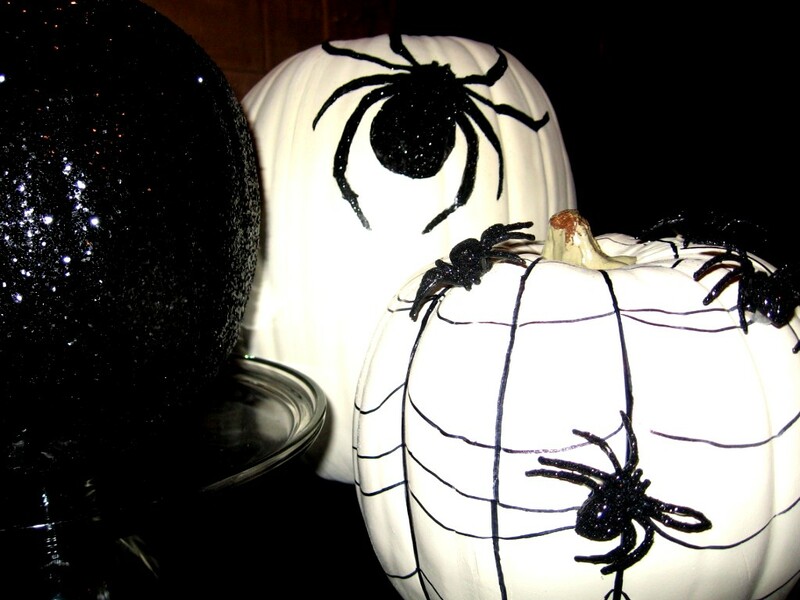 Next, paint glitter on the little spider rings and hot glue them. Ghouls and goblins, I give you . . .
the finished project. . .
Maybe because we are inundated with bad news these days, the design world is offering a “pick me up”. That lift is coming to us in the way of color! I remember writing a hot pink blog recently, but after the National Furniture Market in High Point 2 weeks ago, I get to write another one! Hot pink, hot orange, hot red, and even hot purple were seen all over vignettes at market. I don’t know about you, but I am totally ready to bring some hot into my life and my home. 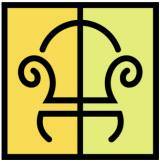 I’m not saying that you should paint the whole house Mandarin orange, but be fearless and use it for fun! How could anyone be in this room and be sad? It would be very difficult. Don’t hesitate to include some of that hot color this year when you set your menu as well as the Thanksgiving table. Orange infused cranberry sauce belongs on this Thanksgiving table. The sage hue of the walls reminds us that a savory stuffing will scent the room as the copper-skinned turkey is carved. So, what’s up, Hot Color? This year go for a blast of color when you want to accent with pizzazz! BLOG interruption for a Fund Raising break! This magnificent summer weekend is (drum roll, please!). . .
That’s right…. an unbelievable FOURTEEN TONS OF CORN will be cooked! I will be there. My plan doesn’t alter from year to year. I will fast all day before arriving at the festival. I will ignore the car raffle. I will not be tempted to network with friends. The home made pies won’t lure me in. I WANT CORN ON THE COB! The Sweet Corn Festival is, in my opinion, the best reason to live in Cedar Rapids. I am practically giddy with excitement as I visualize chomping away on as many ears of corn as I can possibly choke down! I totally understand people who love sweet corn and love this festival, but as an interior designer, I am having a bit of trouble understanding people who love to decorate with corn. Count yourself lucky if you were unaware of the phenomena known as corn decor. AKA: decorn! It is as real as it is hideous. These are ceramic or pottery plates – totally appropriate for serving sweet corn. I get that. Same as the ones shown above, only not-plastic, and missing the pokey things you stab into the ends of the corn. Like I said, I understand. Both of the above items are available on eBay. After that things start going crazy on me. Like corn switch plate covers. I have the capacity to completely enjoy sweet corn and even the idea of corn. At the risk of sounding like a spiritual braggart I also have the ability to comprehend the absolute pure essence of corn on the cob. I do embrace my heartland-ness. I mean I live in Iowa, it’s no big deal. Are you serious? A smirking, napkin-holding decorn? As it turns out, each one of us does! Anything for a laugh. The corn seahorse makes my case for me. This gift from my sister, this piece of decorn has to be the big winner. Could any decorn absurdity beat this!?! It makes you wonder about who thought of the idea of a corn-bodied seahorse – but more intriguing than that is someone else thought the idea was good enough to manufacture! I had to show the “piece de resistance” one more time – just in case you are having a tough time believing what is in front of your eyes. Go out to St Jude’s Sweet Corn Festival and feast upon the world’s best corn on the cob. If you’ve never attended before, you will thank me! PS Confession: The smirking corn thing is also from the author’s private collection.